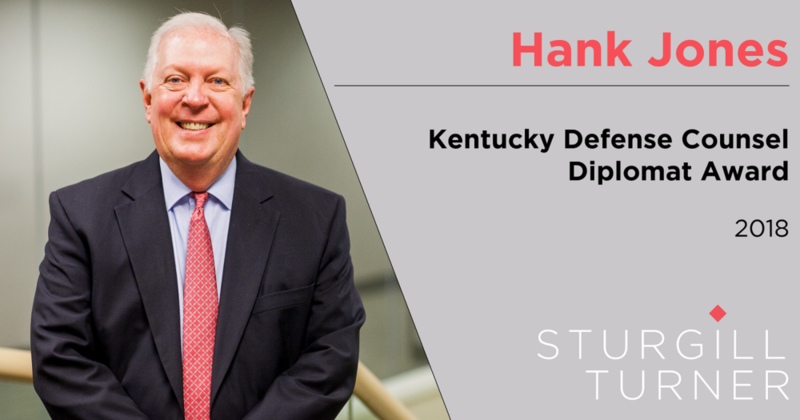 Hank Jones was named the 2018 recipient of the Kentucky Defense Counsel's "Diplomat Award." This honor goes to a senior member of the KDC who has made significant contributions to KDC or to the defense bar. The award presentation was made during the KDC's annual meeting and awards luncheon. Congrats, Hank!